The future of triathlon around the world is dependent on inspiring individuals who are willing to dedicate their lives to growing the sport and teaching the future generations. These women are doing that and more. Meet some select triathlon coaches from around the globe, who break barriers, glass ceilings and societal and cultural obstacles by representing and leading triathlon in helping shape future triathletes in a current male-dominated environment. Farez is a national coach in Ecuador, one of the only female coaches in the whole nation. 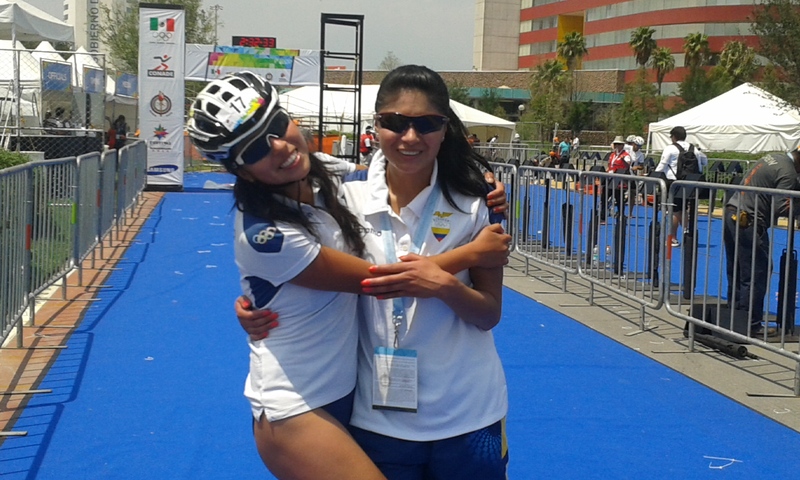 She continues to be involved in the sport despite having experienced a horrific loss when she lost her sister Maria Cristina Farez Pucha, talented young triathlete killed by a car while training on bike almost four years ago. 1. How did you first get involved in triathlon? I had been a long distance runner when I was 18 years old. Later, my sisters, Isabel and Cristina started training in triathlon, and because I wanted to spend time with them, I started swimming and cycling. 2. What made you decide to become a coach? When my sisters were training triathlon, I supported the main coach in his training with the athletes for a year. This caught my attention and grew my interest a lot of the triathlon world. I had been an athletics coach before I was a triathlon coach. Then I gave my CV to the Federacion Deportiva Azuay and they hired me in 2008 to assist with triathlon. Later I was promoted to the triathlon trainer of the Federation. Since then I have focused on my training and ability to support and contribute to my triathletes. 3. How does it feel to be a female coach in a male-dominated sport? It has been a big challenge because in a lot of occasions certain situations have not been equal. I’m proud of my achievements even though the circumstances aren’t easy but it encourages me to focus on improving my coaching skills. I must mention that there are coaches and athletes who supported me. For instance, Andreu Alfonso who has been part of my coaching career. There are men in the sport that have given me confidence and their contribution has really stood out for me. 4. Why do you think it is important for women to participate in triathlon? I think is very important that women belong in triathlon because nowadays the women are joining in all areas, and getting equal responsibilities or in other cases woman getting more responsibilities than men. Triathlon shouldn’t be an exception to get gender equality. Every day there are more women in positions of power that have contributed to being models to follow around the world. 5. How can the sport continue to grow in Ecuador? In order for the sport to keep growing in my country, it is important to work on the bases of the beginning, such as designing teaching programs. In addition, there needs growth in sports classification and improving the process of the selection and to seeking talents. 6. Around four years ago you lost your sister, who also enjoyed triathlon, have you been able to honour her memory through your coaching experiences in the sport? Exactly this 24th May is going to be four years that Cristina passed away. She has been my inspiration and motivation. For a moment I thought about leaving triathlon because her absence hurt me, but it became my boost and strength to keep going working and encouraging new triathletes in honour of her memory. Also like a tribute for Cristina I have a Triathlon team whose name is ¨CrisFarez¨ and I manage an awareness, security campaign for cyclists in the roads which is called #PORELRESPETOALAVIDACRISTINAFAREZ. 7. What are your goals for the future with your coaching opportunities in Triathlon? - Continue training to triathletes and perceive sports talents. - To contribute in improving my triathletes´ performance. - Contribute to the triathlon development. Uh, good question. In the Balkans, where I live, sports is definitely a man’s job. But thanks to the phenomenal ITU and ETU system of education, accessibility and openness, the possibilities that enable you to learn and improve, I managed to bring triathlon training magic among girls in the region. 5. 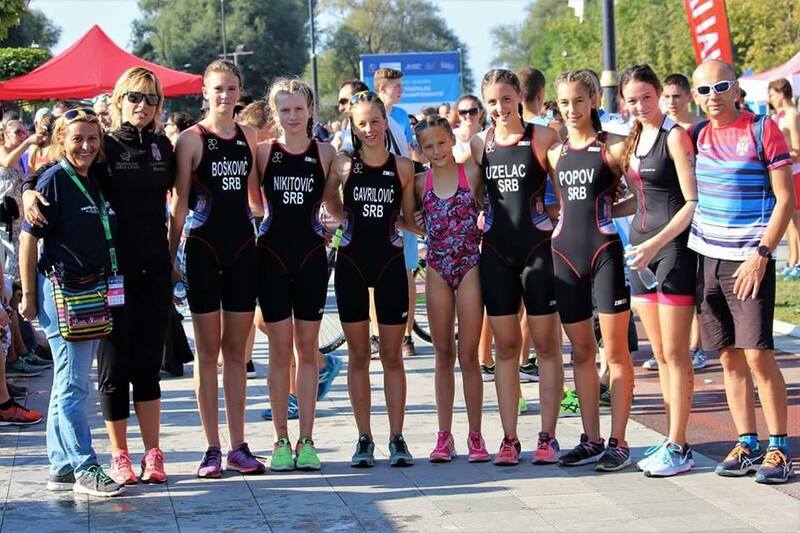 How can young girls in Serbia benefit from participating in sports such as Triathlon? Together with my colleague from Serbia, I developed a program for young girls in the triathlon. “ From talented girl to the strong competitive triathlon women” is a program that brings training camps where we can create a safe environment for young woman to be able to feel confident to learn new skills in triathlon. We are focused on the age when it is recognized that girls disappear from sports, supporting female athletes 13-19 year old, with the aim that they progress to the triathlon development program. 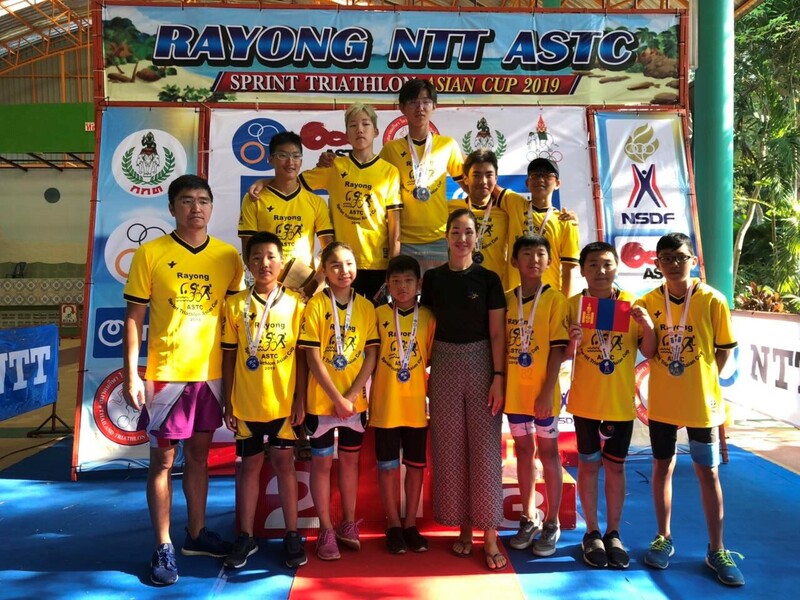 This specific work resulted in increased participation of girls in the triathlon competition from the community level to the national and international level. 6. What are your goals for the future with your coaching opportunities in Triathlon? Erdenebat is a young dedicated coach in Mongolia, recently established a club in her country. She received her ITU Level 2 Coach certificate last year, after intensive education taking Level 1 and Level 2 Coaching courses through our project with the Korean Triathlon Federation for ODA Nations in the past two years. I used to have a swimming background then I switched into pentathlon in 2014. The following summer, I was invited to the National Triathlon Championship by my friend. personally I like to challenge myself and so I decided to take part in race. Since that summer my triathlon journey has started. When I started triathlon, triathlon had been around for a while, but it had few athletes and limited coaches. Triathlon coaching became a hobby for some passionate triathletes while still maintaining full-time employment, including my coach. Not everyone who coaches athletes is a professional coach and others never develop their coaching career beyond this point. So I decided to become coach due to the following reasons: I want to support the people who is new to the sport; to setup new way of doing networking; to introduce new way of enjoying their practice; to provide more professional training opportunities for people who needed; the last thing is about helping others achieve their goals. So I started my coaching journey. I didn’t feel any difficulties and I did not feel nervous or uncomfortable at all. Because my goals, my passion and my team are keep supporting me in every way. In my opinion, gender is not a excuse to sit behind, but instead humans need to develop their weaknesses and fears to feel more comfortable about their selves. As I mentioned above, equality is more important. Everyone needs to feel/ listen to their own self what you truly want to do, love to do…once you know your purpose of life, you have to set up a goal; communicate with specialists in order to start your pathway in the right places. I think women are anyway naturally very powerful. Only we have to prioritize our work and keep our work life balance. 5. How can the sport grow in your country? We need to have more professional coaches, clubs who can go and enjoy doing Triathlon in safe way. Also, based on their individual interests, we help them to set up the goals and aim for it. In my opinion, being a coach is endless love and caring. Also it requires you to be tough in every way. At the moment I really enjoy coaching, expanding my knowledge and gaining more experience. I will keep developing my coaching skills through my study and from my daily training life. Furthermore, I would like to share my experience to my country and region. Fenella is an accredited ITU Facilitator recently conducted the courses in India, Sri Lanka and Korea. She is the lead female facilitator in Asia. She is also an active coach in Hong Kong. 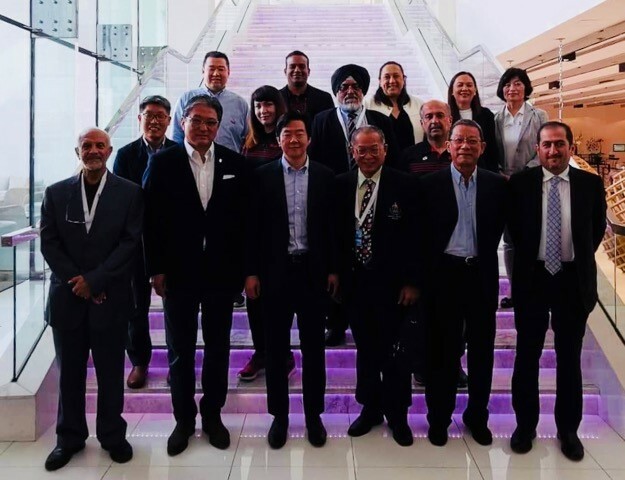 Fenella also currently sits on the Executive Board of Asian Triathlon Confederation. She is also a three-time Olympian in swimming and rowing and a winner of 4 Asian Games medals. In 2000, Fenella became the first Hong Kong athlete to compete in two different sports at the Olympics. The following year, she retired from competition. She co-founded the Tritons Triathlon Club in 2008 with fellow Olympians. My introduction to the world of multisport came in little parcels. As a teenager, I dabbled in aquathons as well as triathlon relays. In those days the swim was 1.5km, followed by a 10km run. There was no lycra suits, with transition involving a a quick change into shorts and a t-shirt behind a hand held towel. As an elite swimmer, my race plan was simply get a big enough buffer on the swim and then hang on for dear life hoping the runners wouldn’t catch me. This was good enough to be crowed overall champion in the first two international aquathons in Hong Kong, finishing ahead of the men’s field in the process. I started coaching part-time through my teen age years and into my 20s as opportunities presented themselves but I never thought of it as an obvious career path for me from the get go. Whilst I was still competing on the world stage, first as a swimmer and later as a rower, I kept up with my studies, which included Chemical Engineering, Actuarial Science and finally a MSc. in Finance. Despite various internships along the way, including working on an oil refinery and crunching numbers for a life insurance company, there was something still missing in my life. It took some time but I eventually came to realise that I loved teaching, perhaps something I inherited from my mother who was a high school science teacher. Once I started coaching again, my passion for coaching others grew, sharing my experiences and giving back to others what I had learned and enjoyed as an myself as an athlete. As an ITU Coaching Facilitator working primarily in developing countries, I have come to witness how often young female coaches are often over looked by their peers and often require a level of encouragement to help them build their confidence to be recognised. Whilst this is probably true in many parts of the world, it is especially prevalent in many Asian countries where there is a cultural bias in the gender discussion. Sports is a great vehicle to overcome these obstacles. It is also refreshing to see that Triathlon as a sport is closer to having gender equality than most international federations. This is no doubt a direct result of the work and guidance of Marisol Casado and the many other great women who have dedicated themselves to leadership roles in triathlon over the years. There are many young male and female athletes taking up the sport, some are just trying it out, others come in through talent identification and increasingly we see 2nd generation athletes who are following in their parents’ footsteps. Triathlon like most sports is great for building self-confidence, goal setting, learning to train, skills development and teamwork. As a mass participation sport, triathlon can be quite an addicting way of enjoying a variety of sports whilst staying fit and healthy as well as offering great social interactions and camaraderie. The general perceptions of triathlon is changing with ever more females taking it up. Many age groupers come from all walks of life, fitness and ability levels, body shapes and ages. There are also plenty of options for the novice athlete, starting from quite short races in triathlon (or aquathon/duathlons), all the way up to full ironman races, making it accessible to all. Training three sports also means that there is less chance of common over-use injuries and brings some variety into the training itself. 5. What are your goals for the future with your coaching opportunities in Triathlon? I look forwards to continuing to contribute to the development of coaching in Asia and further afield. It is rewarding to help young coaches develop their coaching skills. I also relish the opportunities to exchange knowledge with the many experienced coaches and enthusiasts I come in contact with. My work with Tritons Triathlon Club in Hong Kong and at Swim Lab Asia, both filled with fabulously motivated and fun individuals, gives me joy and fulfilment. Day works as a triathlon coach for kids in Tonga. She attended ITU’s 2014 New Plymouth - Gisborne OTU - ITU Development Camp. 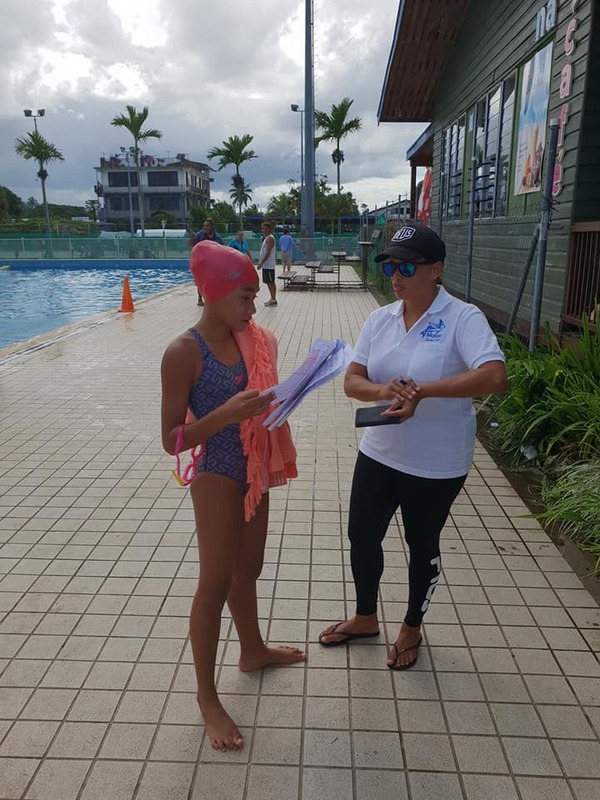 While at the camp, there was two little kids with her attending the camp who later on went on to became participants at Y2018 Buenos Aires Youth Olympic Games in swimming. She continues to work hard to grow triathlon in Tonga despite the difficulties with cycling. She also became ITU Level 1 Coach in 2018. I first got involved because my daughter was selected to attend an OTU Development Camp in 2013, as part of talent identification. She was the youngest participant at Age 10. I attended as a Chaperone for both her and another boy, Finau Ohaufi, age 13 at the time. I would end up coaching them and other young athletes for the next 6 years. Love for my child, which then spread to love for other children. Seeing their potential and their struggle to do what they love, but in a country that has zero resources and very little funding to assist. I knew I had to help them achieve their goals and their dreams. This became my passion. It feels great. I enjoy the challenge and the hurdles because it makes me a stronger person at the end, and it helps me set a good example to my young athletes that you should not let others dictate your purpose in life and you should always pursue your dreams and follow your heart. We have to be the change that we want in our country. I think it is important for women to participate not only in triathlon, but in every sport or purpose that they find passion in. Triathlon and sport in general provides us with a platform to immediately instill positive change and to promote gender equality, good health, and other positive values that sometimes are distorted by outdated cultural traditions or personal or political agendas. 5. What is your favourite part about coaching children? Inspiring them and helping them believe they can accomplish whatever they set their mind to, against all the odds. 6. How did it feel to have two of your athletes make the Youth Olympic Games? I had one of my athletes make the Commonwealth Games & Youth Olympic Games in Swimming (Finau Ohuafi), and the other become the youngest person in the world to swim the Apolima Strait (22.3km open water swim from Upolu to Savaii Island at Age 14) (Noelani Day). Both of these accomplishments occured in the same year, 2018, just a few months apart and these are the same 2 athletes that attended the OTU Development Camp back in 2013. Both athletes are 100% locally based and train with zero swimming or training facilities in Tonga. I am most proud of their hard work, persisitance, and humilty. 7. How are you helping grow the sport in Tonga? I am a 100% volunteer Coach, and have always been. I continue to look for any opportunity to help our youth and try to help them fulfil their potential, and find their passion in sport. Growing sport in Tonga in a 24/7 challenge with little to zero funds, working on a volunteer basis, and with zero facilities & equipment. But we soldier on and do the best that we can, with all that we have. At the end of the day, I believe anything is possible with the right heart & mind-set and with hard work. I teach my kids to not let our limitations define us, but rather to see all the challenges as an opportunity to show our resilience and strength. 8. What are your goals for the future with your coaching opportunities in triathlon?